Royal Fans, Yunas Fans, GFC Fans, Inayat Fans, Metro Fans and Pak Fans are some of the leading fan brands of Gujrat Pakistan among various other brands. Electric Fans Manufacturing Industry of Gujrat was started in 1940s by few enterprises. These people faced many hardships and ups and downs in their way to make this fan industry the most efficient industry of Pakistan. This is an industry which is totally developed by the people of Gujrat Pakistan without any help or assistance of any local or foreign organization. The involvement of Government of Pakistan in the development of this industry is also very negligible. Today there are hundreds of fan industries and fan brands in Gujrat. Thousands of Pakistani skilled workers are earning their livings from this industry. 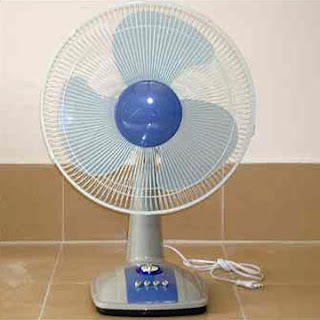 Every type, design and quality of fans is being produced in these fan manufacturing factories. These products are worlds best and pride of Pakistanis and especially Gujrtatis. Now there are fan industries in Gujrat; from cottage industry to heavy industry, from parts manufacturing units to huge plants. And moreover due to the setup of this fan industry many other industries could groom like Motorcycle Industry, Washing Machine Industry…. Although this industry is present from last 60~70 years but after 1980 it shows huge progress.